Zhongzhou (78.179) generally refers to Henan or a part of it, but it can also refer to China in general. Copied from QQJC IX/401 (.pdf of whole melody). See .pdf of whole melody. 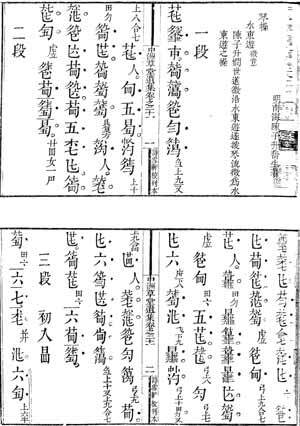 Note that the tablature was written using the old method.